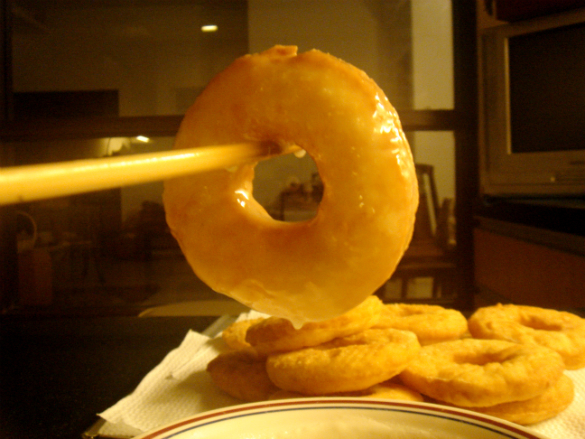 I spent the whole Saturday night making the glazed doughnuts. It did take a long time because I had to let the dough rise thrice. 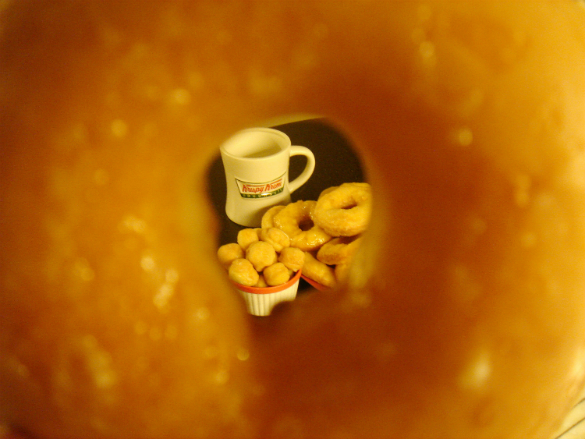 But, don’t get me wrong, I had a blast preparing the doughnuts! :) I love working with dough. 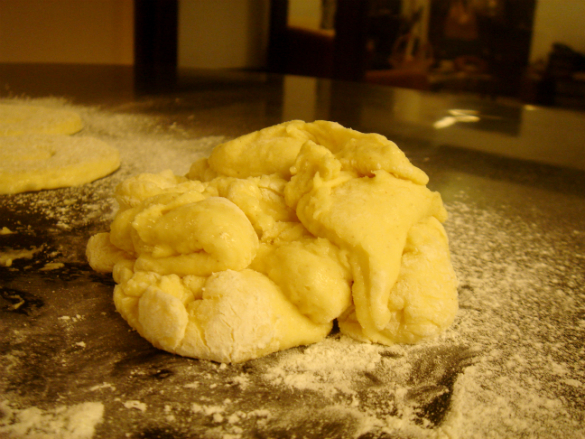 Also, the dough that I was able to make was soft, fluffy, and very easy to knead. 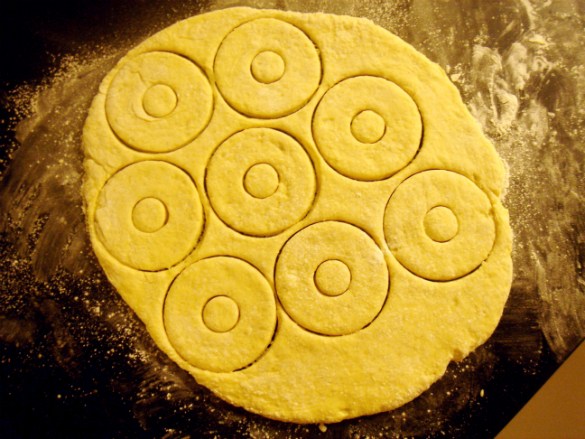 I kneaded the dough, rolled it on the table, and used my doughnut cutter to form the doughnuts. 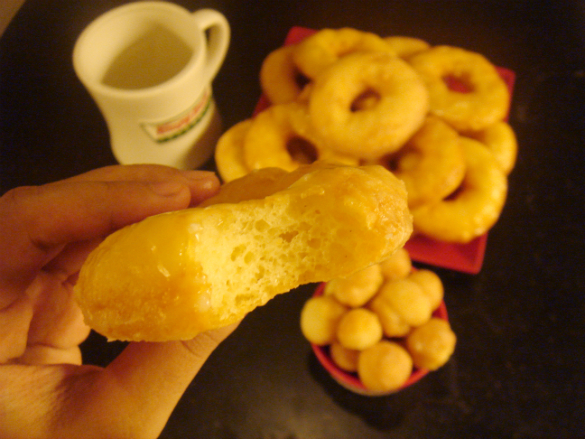 After cutting eight doughnuts from the dough, I immediately gathered the excess dough and kneaded them together. 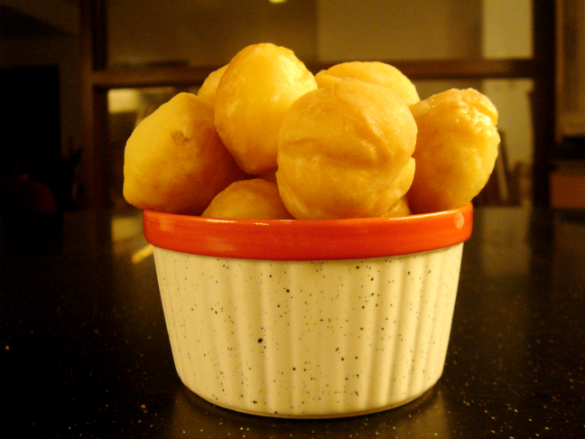 I also took the doughnut holes and set them aside. 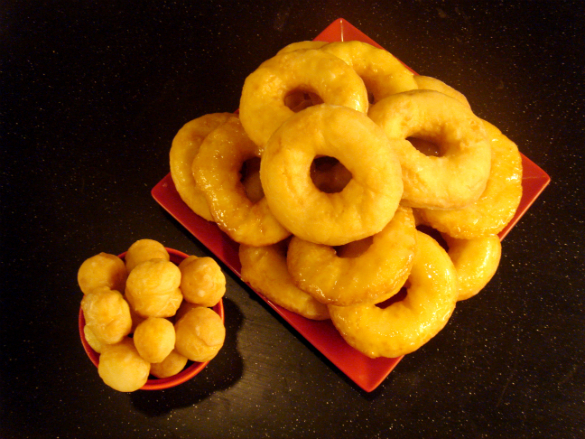 I repeated the process and produced four more doughnuts from the scrap dough. 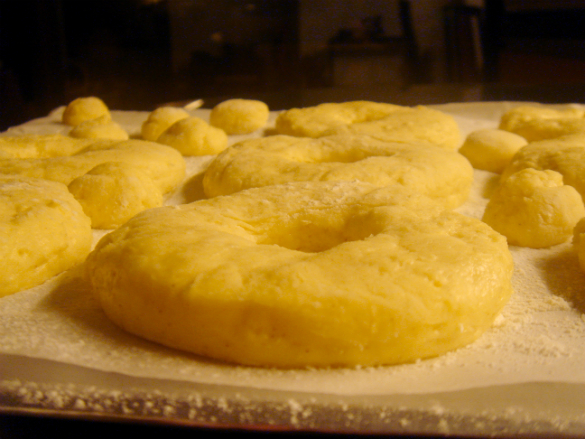 And for the last time, I kneaded the scrap dough again and was able to form the last doughnut. 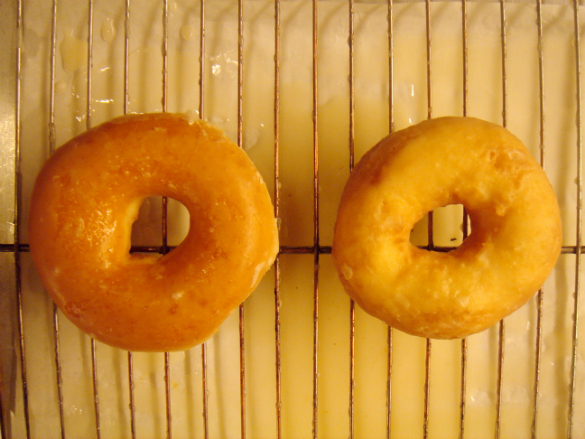 I cooked the doughnuts after letting them rise for an hour. 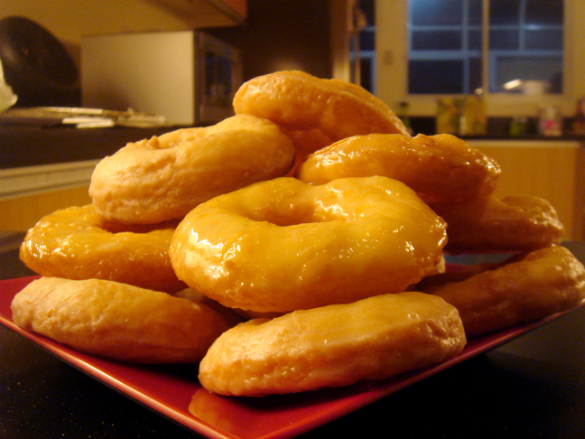 Then, I poured the sweet, sugar glaze on them for more flavour. I was telling God how amazed I was because He allowed me to make more doughnuts by kneading the excess (scrap) dough again and again. 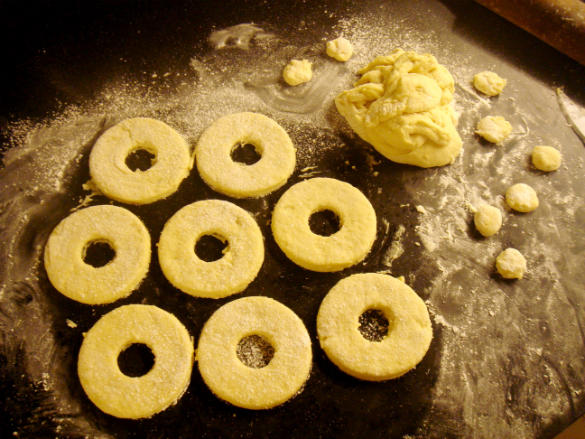 It was also interesting because instead of throwing the smaller circles away; I was able to make mini donuts out of them too! I HAVE SCRAPS IN MY LIFE TOO. 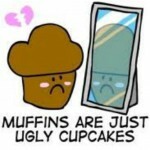 Tons of them, actually. Sometimes, they even come in the form of mistakes, heartbreaks, insecurities, wrong decisions, sin, weaknesses, bitterness, regrets, and other undesirable things and moments that I experience. GOD IS STILL THE GOD WHO RESTORES. At first, I wondered why God said: “Write this down…” in the verse above. But then, I realized that we need to write things down so we can remember them more. Sometimes, it’s so easy for us to forget who God is in our lives. As a result, we end up getting discouraged more, whenever we remember the scraps we have in our lives and the seemingly useless/worthless situations we go through. However, it is such a comfort to be reminded by God that we can trust in Him who makes all things new. Earlier, I told you that I was able to read about the history of Krispy Kreme. 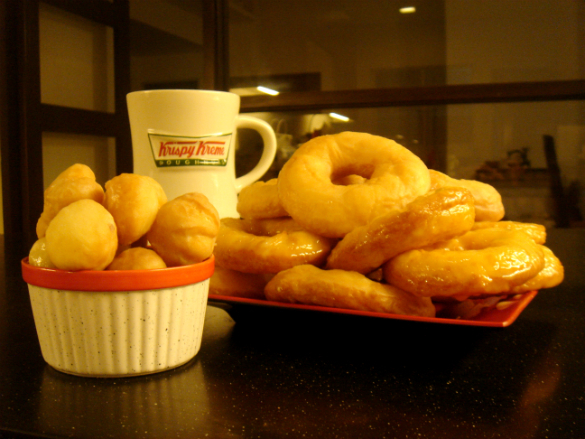 Interestingly, I found out that Krispy Kreme is actually celebrating it’s 75th year this year! In the company’s website, you’ll see how they were able to learn from the mistakes and mediocre procedures that they had through the years. The company didn’t focus on those ‘unwanted situations’/scraps, but instead, they used them as their motivation for continuous improvement and growth. 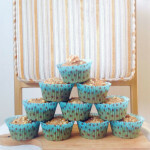 Encourage yourself one treat at a time! 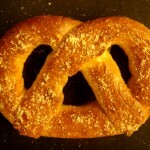 I am such a big fan of this blog! And I’d love to try these doughnuts!! I suggest you make a business! I love your blog talaga nickay!